Summer is a time for grilling, and whether you like juicy burgers or delectable hot dogs, there's something on the menu for everyone who loves barbecues. Each year when Labor Day approaches, people fire up their grills in preparation for this American pastime. However, barbecuing is often easier said than done if you don't own a grill that caters to your cooking style. Whether you're making chicken drumsticks or burgers, you'll need to choose between a charcoal or gas grill. Additionally, you may need to fine-tune your barbecuing skills if it's been quite some time since you fired one up. Here are some tips to make your next barbecue a success. Do you like the taste that charcoal grills leave in your food, or do you prefer the cleanliness of gas models? Before you start writing out the invitations to your next event, you might want to think about upgrading your current grill to a model that suits your needs. Whether you want a reliable freestanding charcoal Weber grill or a stainless steel one that operates on propane, see what works best for you. Esquire magazine stated that tongs can either be your best friend or your worst enemy. If you squeeze the meat you're grilling too tightly, you risk pouring out all of the delicious juice. Be careful when you're using them to ensure that your meals turn out as tasty as you want them to be. 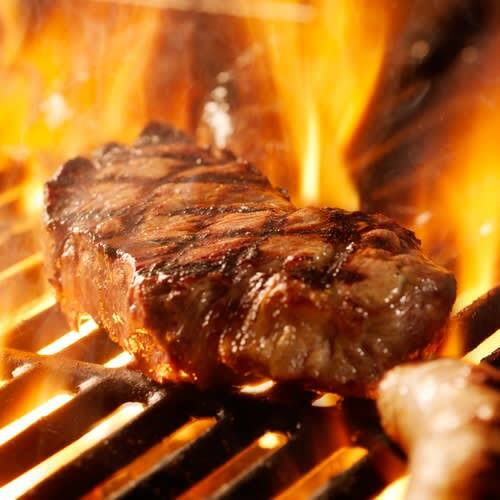 Time magazine noted that grilling is an art – it's a process that takes time if you want to truly achieve perfection. For this reason, don't rush your food from the grill onto your plate. Allow it to sit for a bit on the grill and absorb its juices. In the end, you'll find yourself biting into a more delicious meal. The Guardian reported that it's best to have all of the equipment you need to cook near you before you begin. This can ensure that you never have to leave your grill or your food cooking and risk burning it. Additionally, try to keep seasonings and other items nearby for the ultimate convenience. With the proper grill and tips in mind, you can make sure that your next barbecue goes off without a hitch!